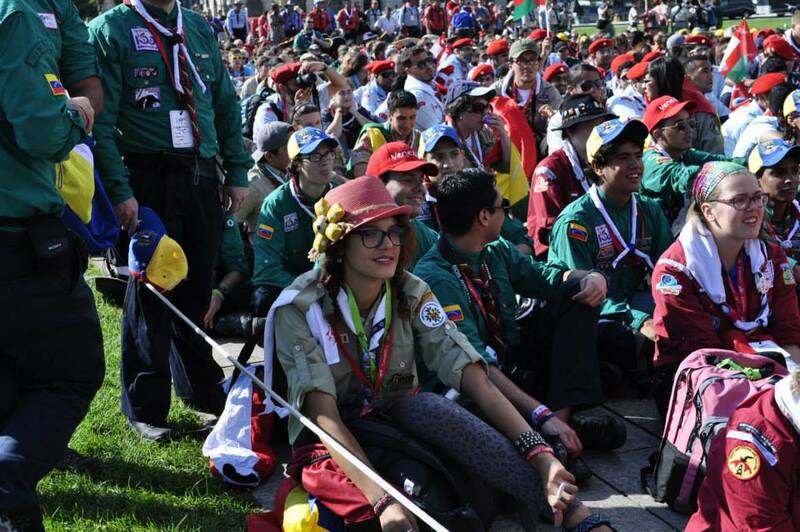 (ONCR/Bucharest) – The World Scout Moot Canada 2013 still seems so close, even though it ended on 18 August. It was a great experience, filled with strong feelings, tears, laughter, trips, family, awesome views, crazy times, adrenaline, and, most of all, lessons for the whole life. I learnt so many things about what friendship means, about the importance of being opened, about the intercultural dialogue, and about what a family of two thousand people means. 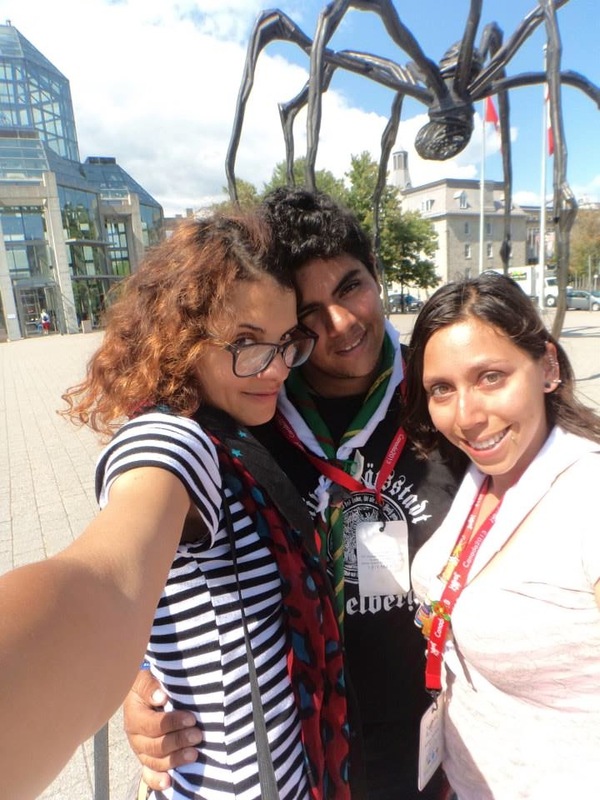 During my first day, the first Scouts I met were in Toronto, at the airport: one from Taiwan and one from Italy. After that, during my flight to Ottawa, I met a Scout from Austria. At that moment, I realized that I would make so many friends, because we are already arguing about some songs from his mp3. Just as if we knew each other for a whole life! Next few hours were filled with meeting more Scouts from Zimbabwe, Canada, the USA, Austria, Denmark, Argentina, UK and … Mexico, of course! Taking into consideration that I have never met anybody from Mexico, meeting a group of 20 Mexicans was really impressive, not because of the country they were coming from, but because how friendly they were. Their English was so cute, because of their accent. It was like a movie, I couldn’t believe it was real. We went for a walk, and while we were crossing street after street, I was impressed. Scouts EVERYWHERE. 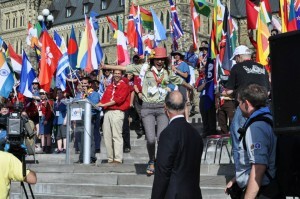 Ottawa’s streets were filled with Scouts. I mean I have never seen so many Scouts. Never! I didn’t mention this before: I was the only Romanian Scout going to the Moot, and now I know that it was the bravest thing I ever did. I will never forget people’s faces when they were hearing that I was all alone: “What? The only Romanian Scout? How cool! Could I take a picture of you? !” Actually, it wasn’t “cool” at all. Being the only one in another continent, with no friends, with nobody speaking your language, could drive you crazy sometimes. But for me it was an honour. I tried as much as I could to tell everybody more about my country, about our Scouts and our Scout Centre. That was a hard thing, because almost everybody was more interested in learning “why I am the only one”. During my first night in Canada, at the University of Ottawa, I learnt my first lesson. It would depend on me if I will be alone or not, if I will develop some skills or I will stay the same. I also found out the whole idea of the project. Learning what intercultural dialogue means, learning to live with different people, learning from them good practices and, why not, teaching them from our Romanian experience. I think that during the Moot, the participants learnt how to be better citizens in their community, to help, to get along with somebody, no matter of what colour is his skin or what language is he talking. But, back to the story: I had a few moments when I felt alone. At the opening, when everybody was with somebody, screaming and feeling good, when we were eating, when the other countries were having contingent meetings and participants were informed. I didn’t have anybody. But then I was going to the big tent and I was speaking to somebody, sharing experiences, laughing, feeling good, and my seconds of being alone were successfully ended. These are the risks of going alone. I knew from the first what I would expect, and I had agreed. I think that was the only bad part of the Moot. That horrible feeling that was coming sometimes. But I had friends. Yes. At the opening ceremony, in Ottawa, I met wonderful people that became my friends. Patrick, from Guyana, was also alone, so we were together all the time, taking pictures and talking about the Moot, about our expectations, about how many people are here. When my country’s name wasn’t called out, I ran to the front, with everybody there, and informed the hosts about this mistake. 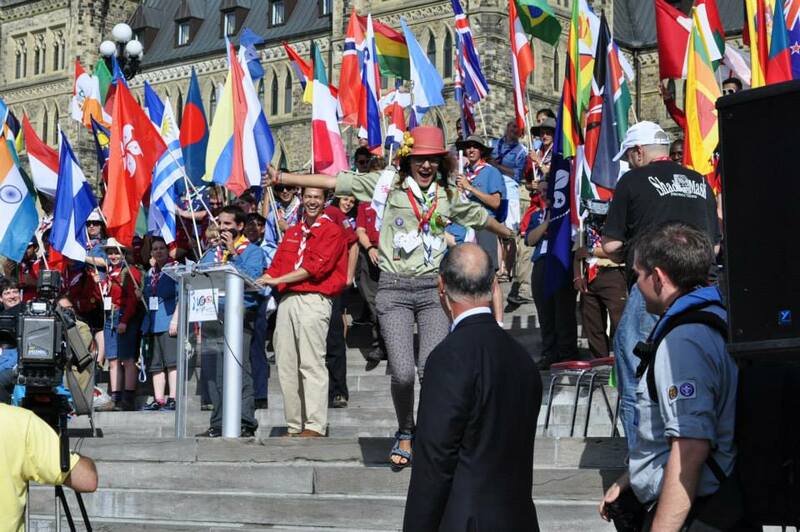 From that moment on, everybody knew me as “The Romanian Girl that ran in front of everybody at the Parliament Hill”. I had to do it. Because I couldn’t let them forget about me. And I think it worked. During the whole Moot, from time to time, people were coming to me and were taking pictures, chatting for a little bit, changing addresses, sharing experiences and so on. Scouts were saying: “Hi!” when I was passing, were smiling, were willing to help. From my first day, from the Parliament Hill, I was called “The Romanian Girl” and I became ‘famous’. Maybe sometimes I just wanted to stay in the shadow, not to be known by everybody. Another wonderful thing was my patrol. Patrol 209. I will always remember the times I had with patrol 209. It made my Moot better! We were just like a family, cooking, waking up, eating, going on hike, having fun, and all this together. This made my days! Even though we were only two girls, we have been the best friends! This kept us together and made us realize that friendship can exist between all countries, and that it can change the people, make them grow up. Patrol 209 was probably my contingent: those, who were telling me what are we doing, those, who were disappearing and reappearing after half a day, those, who were always concerned about each other. And we were coming from different countries. 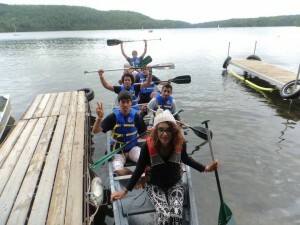 We had different cultural backgrounds and spoke different languages. But that was an opportunity. We ate Mexican food and we ate noodles with sticks from Japan, learnt a few words in different languages, and learnt some games. It was wonderful! Patrol 209 was my Moot Contingent, my Moot Family. The Moot atmosphere was warm, friendly and … crazy! During the night it was some party and we were dancing all together, Mexican Scouts were throwing me in the air, Scouts from all over the world were joining our dance, thousands of smiles, happy faces, great feelings! These were the Moot nights for me. 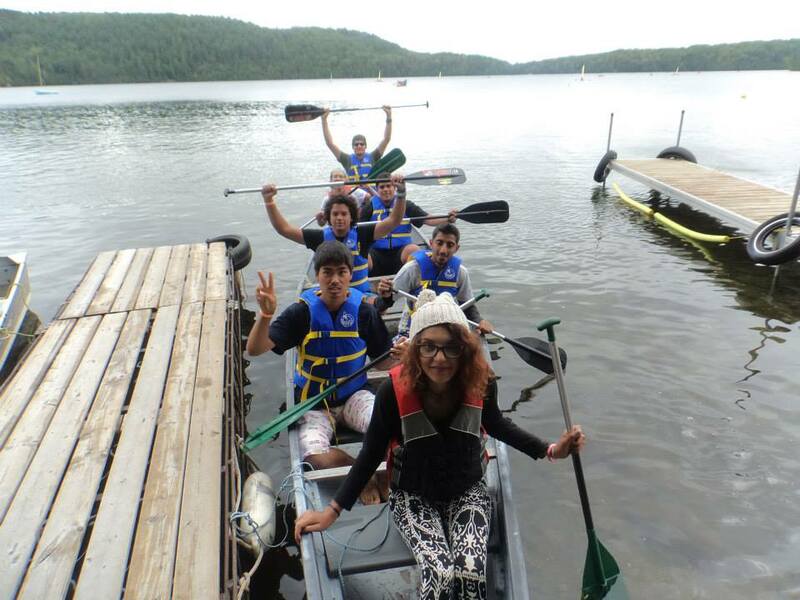 Moot days were filled with activities, beautiful ones: sailing, rappelling, canoeing, kayaking, climbing, hiking, and experiencing the aerial park, the haunted walk, or the Global Development Village. I admit I didn’t respect the schedule all the time. I participated in more activities but that happened because I didn’t want any second to waste. Another wonderful thing was the trip to Toronto. Even though this yellow bus still appears in my dreams as a horrible vehicle, people inside made it look great! Songs, laughter, chatting, speed, sleep, scars, food, juice. These are the words that describe an awesome trip. Toronto appeared as a gigantic town. I think it was greater than New York! (I had the chance to see both cities during the day and during the night). I was on 15th floor, and I could see how the sun was rising in the left side, while the right side of the town was dressed in black and was having yellow stars all over it’s “dark clothes”. That was the first time I see something like that, day and night at the same time. I will never forget that view. I thought I could almost touch it. We made a promise: one day we will meet again! At the end of the trip, while I was going back, I felt an empty place inside my stomach. It was taking my air, it was making me cry and smile at the same time, it was making me see again and again hundreds of faces, thousands of places, I was feeling again all the adrenaline from sailing and rappelling, my hurting hands after the climbing wall, the feeling of flying from the Tyrolienne, but, more than everything, that empty place inside my stomach was actually reminding me about the feeling of belonging, about my family. My Moot Family! My Mexican “sister” and I made a promise: one day we will meet again. I am keen to keep this promise, and I know that it will become reality. So, watch out, because, if you are going to see a pink hat and a dark one together, that means that we are there, and we are going to have the time of our life, as Scouts, no matter where or when!